Even though user mods have been a staple of PC gaming for a long time now, few games have supported these on consoles to date, one being Bethesda’s own 2015 hit Fallout 4. And with the release of Skyrim Special Edition, Bethesda has added mod support to Skyrim, meaning console players will now be able to enjoy some of the user modifications that have been released for the classic RPG over the years. And without further ado, here follows a list of 5 mods for Skyrim Special Edition which you can enjoy on the PS4. Even if Skyrim has a large collection of NPCs (Non-Player Characters), it is clear that these did not always behave in a very realistic manner, acting like dumb automatons on more than one occasion… But this user mod attempts to fix this problem be altering the AI of the game’s denizens so that they carry out activities appropriate for their rank and jobs, and also so that they behave more realistically in combat. 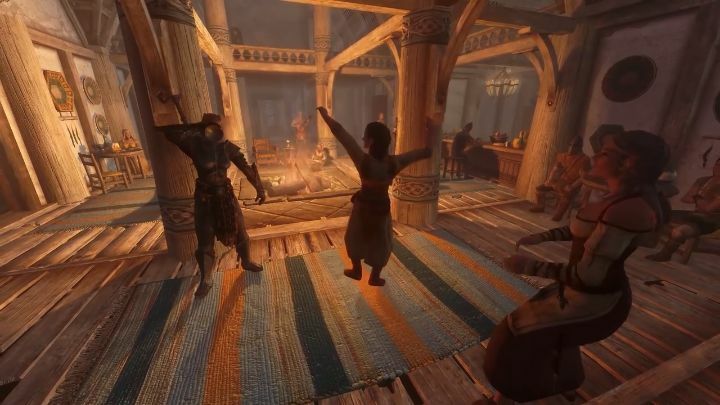 So this means NPCs will flee to a nearby location such as the Jarl’s court if they are overwhelmed in a fight for instance, and that you will also see farmers doing tasks like feeding the chickens and townsfolk dancing in taverns, making Skyrim’s world quite a bit more realistic and fun to explore too.